It’s more common in Western countries but Asians are not far behind. 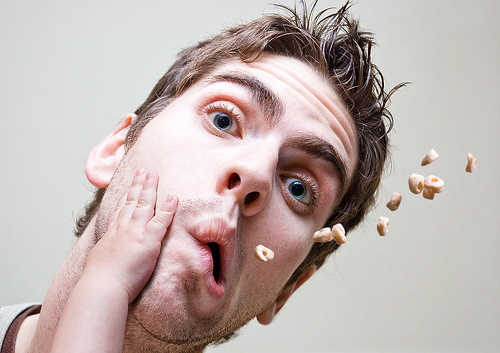 It’s indisputable that cereals are a popular breakfast, especially among children. If your child (heck, even adults) is one of them, STOP doing this. I have been telling J and K that packaged cereals are no good to them. I keep hammering home the point that they must stay away from those cute-looking, starchy cereals. He knows what I am going to say but he’s trying to coax me into buying breakfast cereals that come with striking packages. The reason for not buying is very clear. Those cereals are fake and man-made. They are not healthy as they claim. They contain too much of everything harmful and too little of anything good, if any. I don’t even bother to do any research to find out if cereals are unhealthy. Because, as with any packaged product or canned food, they are the same. Either too much sugar or too much salt. Not to mention chemicals and preservatives that you have hard time to pronounce. 32 out of 50 cereals, including top-selling brands, were too sugary. Of the cereal brands aimed at children, 12 out of 14 were found to contain too much sugar. No wonder the kids love them. Imagine your child is having nothing more than sugar when you think he’s having a “healthy” breakfast – almost 40% sugar if he is having Frosties. As I always say, don’t trust everything the commercials say. Challenge the conventional wisdom. Want an example of what we have? One of the things that we have for breakfast is fruits and vegetables juice. No doubt it’s troublesome to wake up in the morning and prepare some freshly made juice while you are still sleepwalking. But health does not come free, it comes with a price. Either you pay now. Or pay later… as hospital bills.